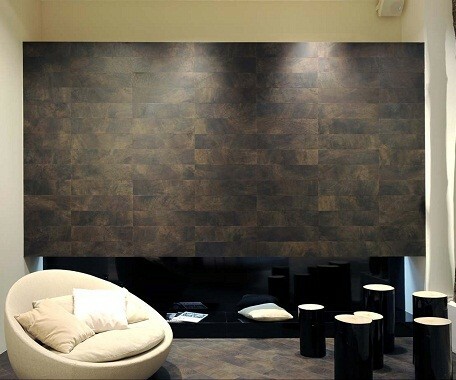 Porcelain Tiles that look like Wood! 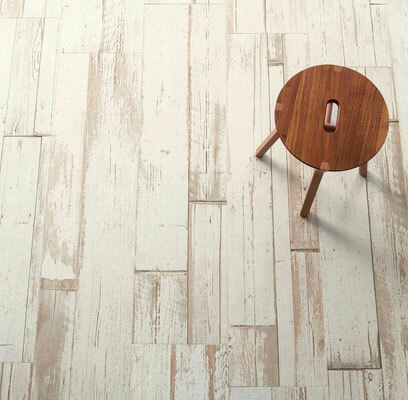 These tiles have the texture of hand-scraped wood for added realism. 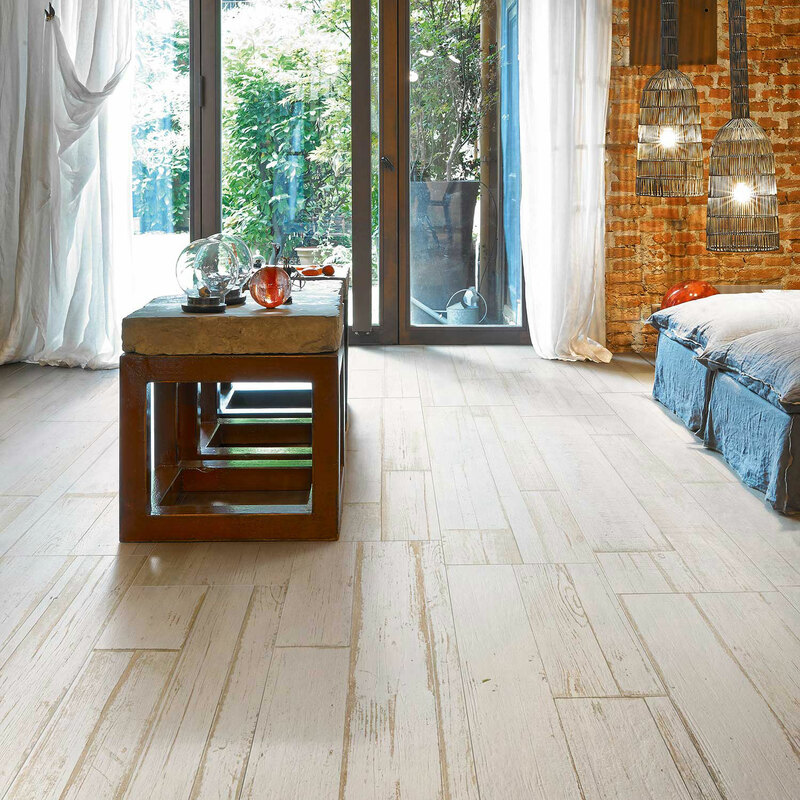 One of the biggest trends in the tile industry right now is ceramic and porcelain tiles that look like wood. 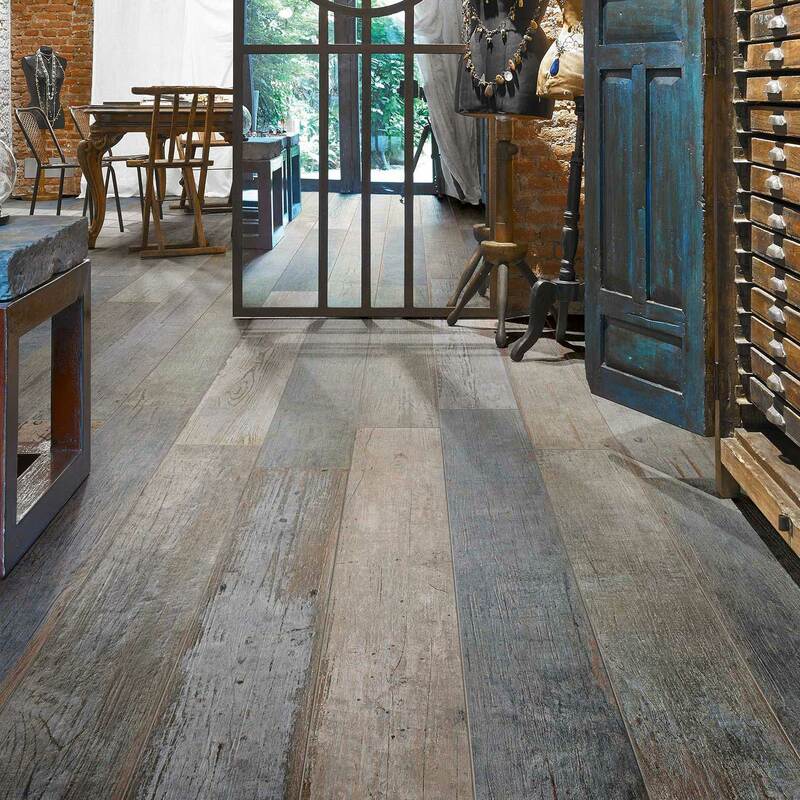 Almost every tile manufacturer has their own line that mimics the look of wood flooring. 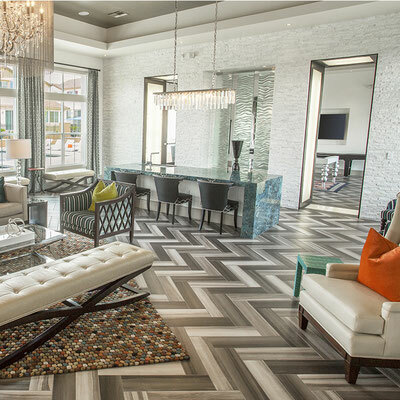 Note: All of the pictures on this page feature porcelain tile flooring, not wood flooring! 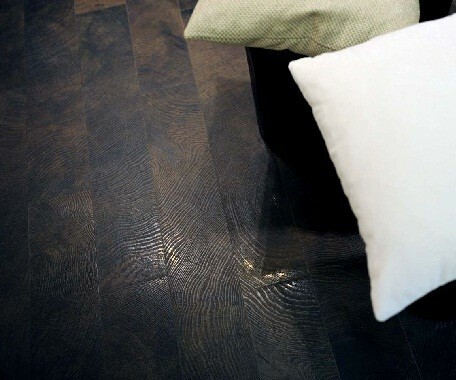 If you're looking for our line of real hardwood flooring, visit our Wood Floors page. 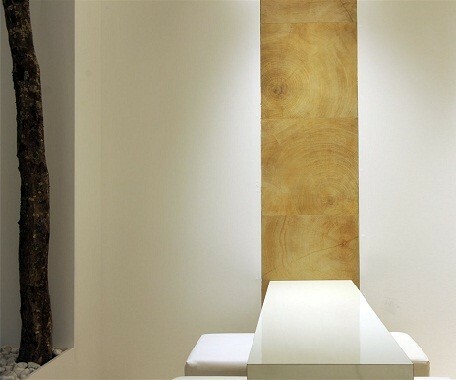 Check out these more decorative options, such as glass that looks like wood. 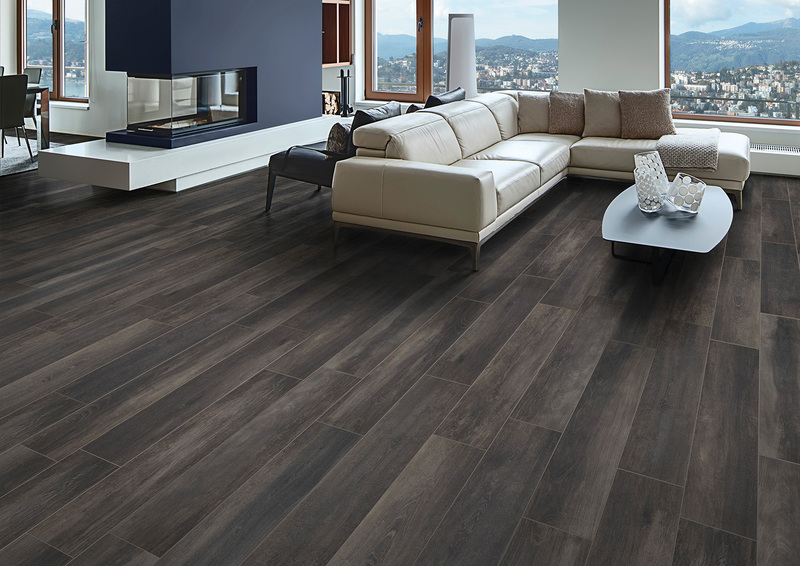 Natural-looking, stain-resistant, chemical-resistant, durable enough for outside spaces, and available in four colors; it's not wood, it's porcelain! Porcelain wood tiles are much more durable than wood flooring. 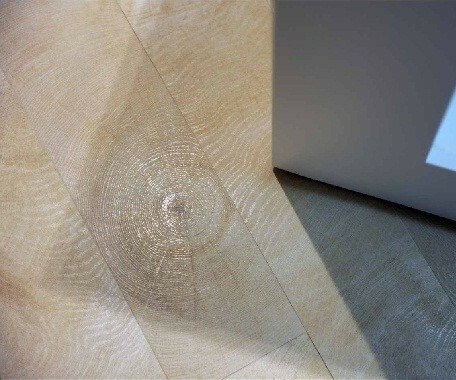 Extremely scratch-resistant, they never need to be refinished. 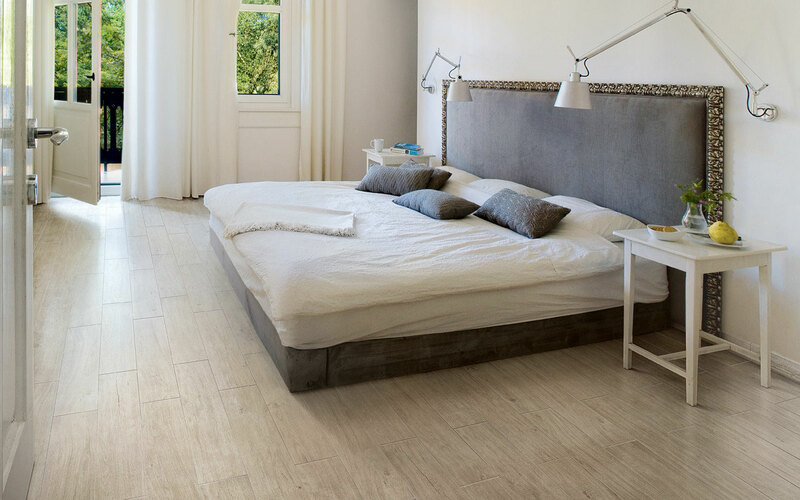 Porcelain tiles are almost completely pore-free, and as such are stain-resistant and can be cleaned with any household cleaner. 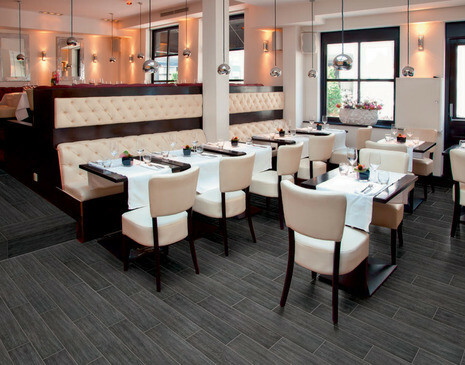 They can be installed in wet areas such as showers, in commercial spaces such as restaurants and shopping malls, and freeze/thaw-resistant porcelain wood tiles are suitable for exterior installations such as patios. If you want that classic wood look in a high-traffic area such an entryway or a kitchen, in a wet area such as a bathroom or steamroom, or if you have a very active household with children or dogs, consider porcelain instead: a scratch-resistant, durable, low-porosity material that will stand the test of time. 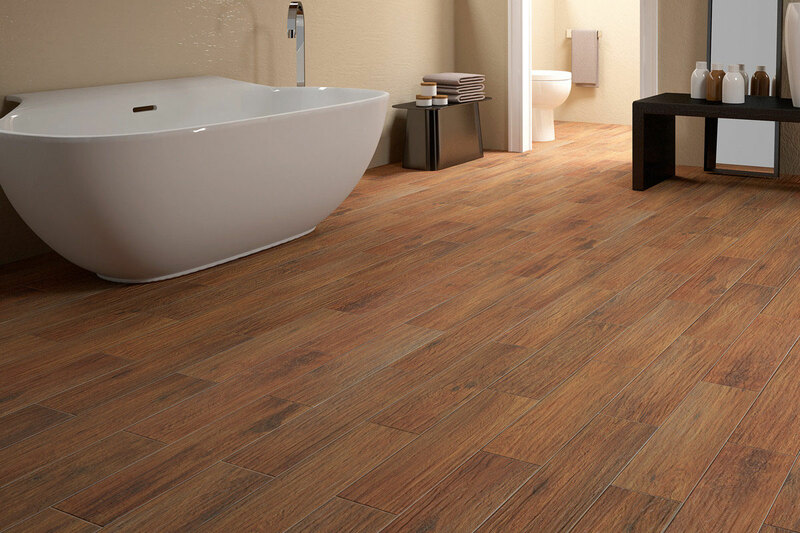 In the event of spilled water or burst pipes, porcelain won't warp, discolor, mold, or decay. Ideal for easy-to-clean bathrooms or steamrooms. 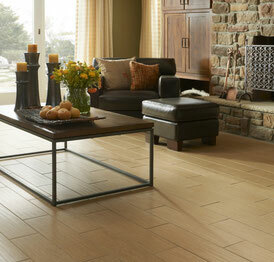 Wood-looking tiles can range from $3/sqft to $8/sqft, while wood flooring can range from $2/sqft to $8/sqft. 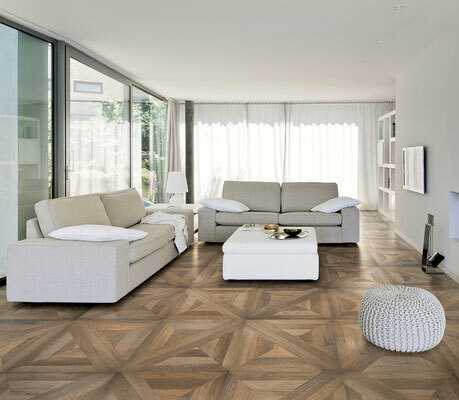 Like natural wood flooring and laminate, wood tiles can vary wildly in quality, color, and appearance; these factors all affect the price. Wood tiles come in numerous colors, textures, and tones for every imaginable design style. 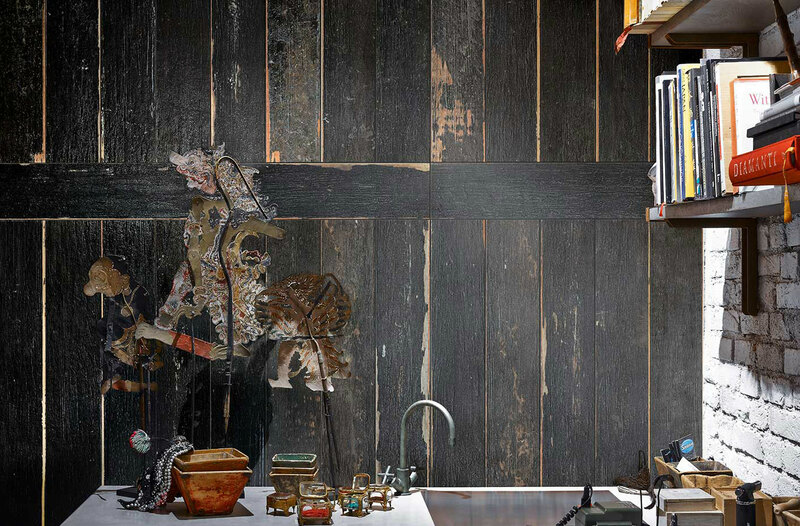 The carefully-crafted Patina line has a worn, aged look. 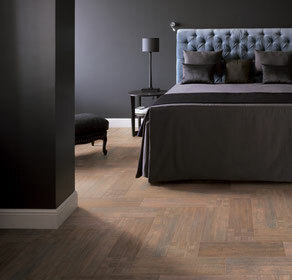 Print quality plays a large role in the price point of all man-made tiles. 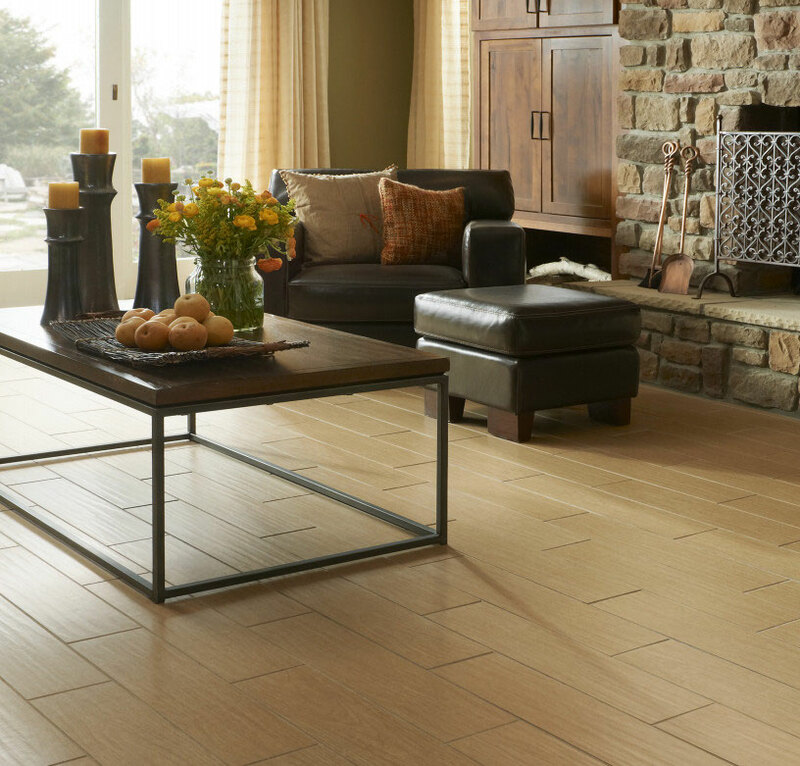 Learn more on our tile pricing blog post. A more sophisticated inking/glazing process will result in natural looking patterning, more realistic and subtle colors, and variation from tile to tile. 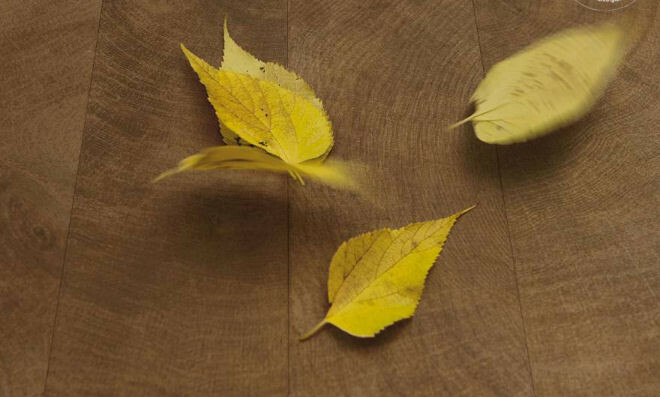 A cheaper printing process often results in flat, monochromatic looks, frequent pattern repeats, and discernable dots from low-quality ink-jet printing. The vast majority of our wood tiles, however, are of a high print quality, resulting in realistic-looking products. 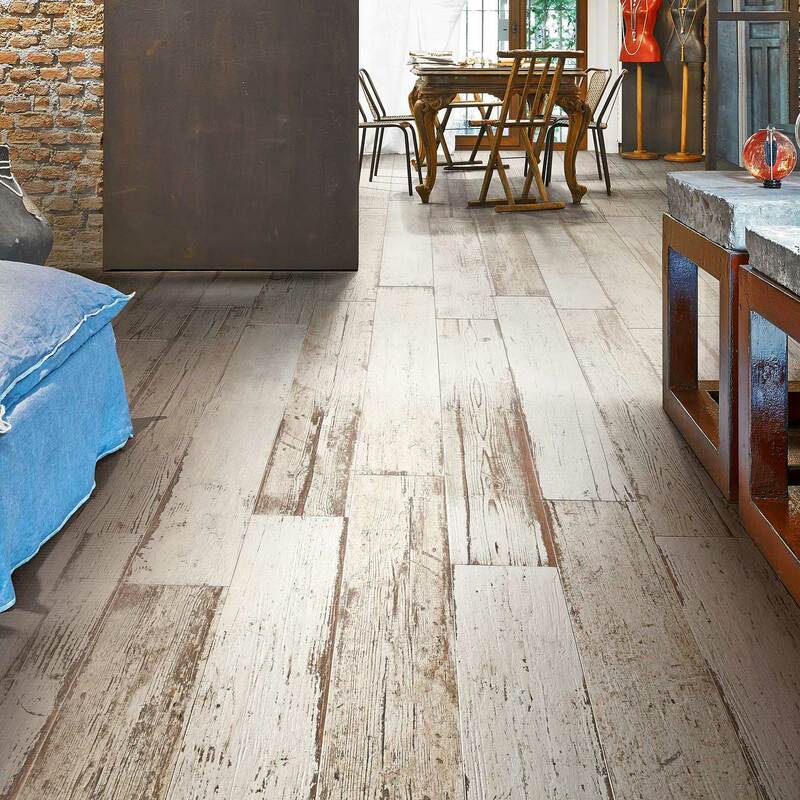 This includes our exclusive wood-look porcelain line Woodcraft, which we import directly from the manufacturer for lower costs on a quality item. When light hits these realistically-textured Rustica porcelain tiles, the wood look becomes even more convincing. The physical texture of a wood-looking tile contributes heavily to its level of realism. 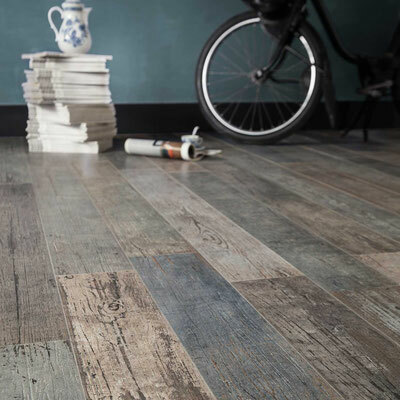 From hand-scraped texture to saw chatter marks, faux ridges, and knots help to create a convincing look and heightened realism. 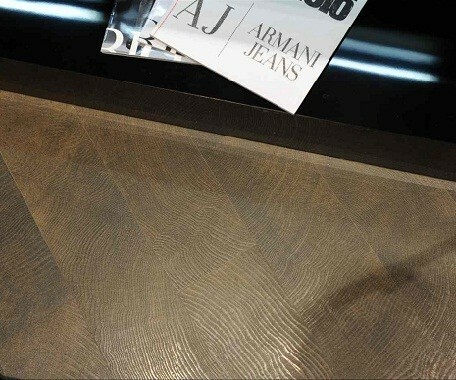 A shiny finish, as with laminate, can create a decidedly fake look. A more matte finish duplicates the way real wood diffuses light. The added friction from the wood-texturing also creates a safer walking surface, making porcelain wood tiles ideal for bathroom floors, entryways, and patios. 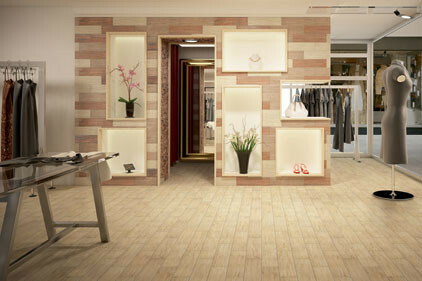 These Heartland Light Oak porcelain tiles have a durable glaze that's suitable for light commercial foot traffic. 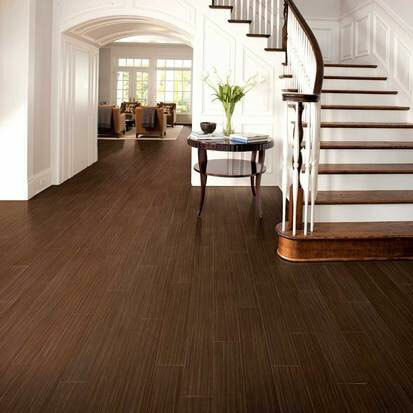 Almost every porcelain or ceramic tile has a glaze on the surface. 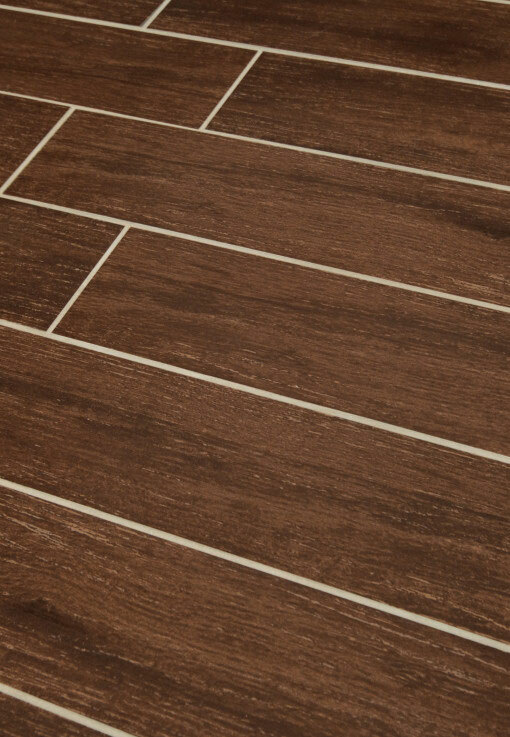 Tile glazes have a PEI (Porcelain Enamel Institute) abrasion/durability rating between 1 (residential wall applications only) and 5 (suitable for high-traffic commercial floors, such as those in airports or shopping malls). 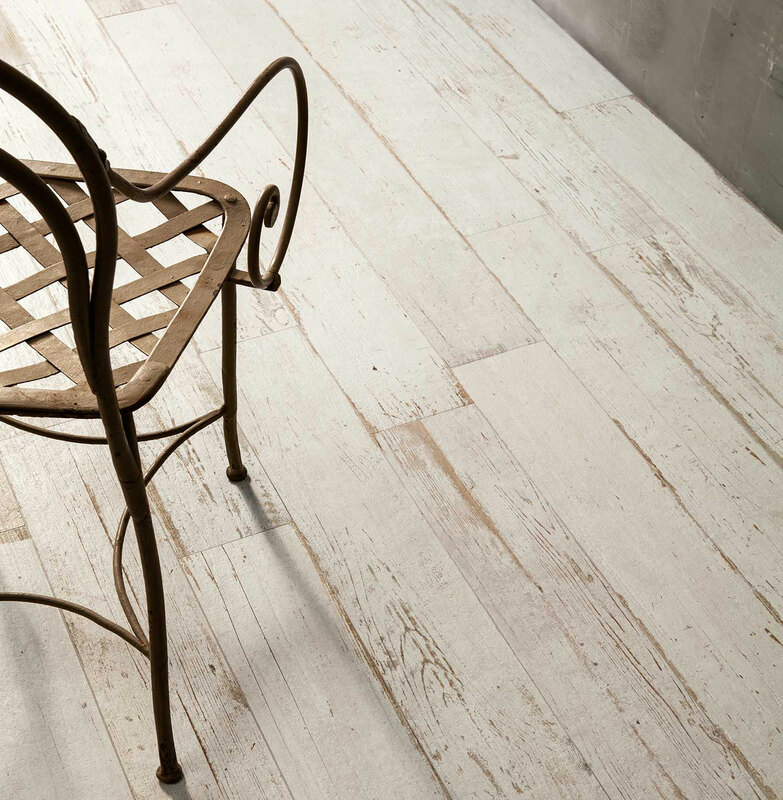 Most wood-porcelains have at least a PEI rating of 3 (suitable for residential floors, walls, and countertops). 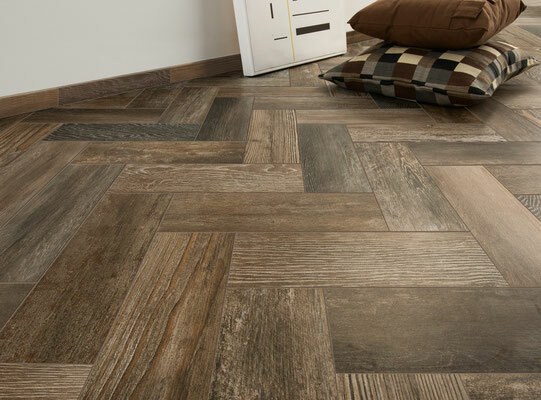 Almost all of our wood porcelains have a PEI rating of 4 or 5; this means that it will take 15+ years of heavy foot traffic for the pattern/print of the glaze to wear off. Underneath the glaze is the tile's clay body. 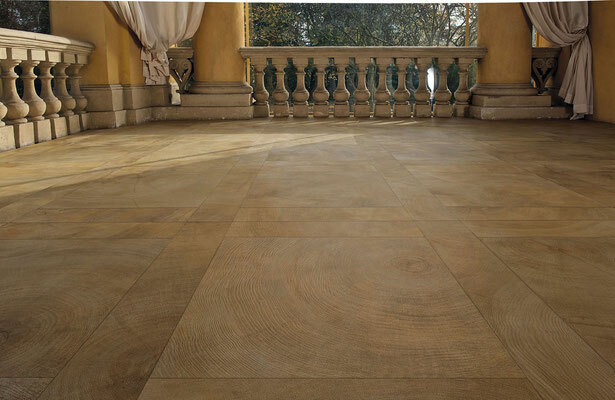 If the clay is an uncolored white or grey clay that is not dyed to match the glaze, it will show through in any cases of chipped tiles. Many porcelain wood tiles have Color Bodies, where the clay is dyed to match the glaze. 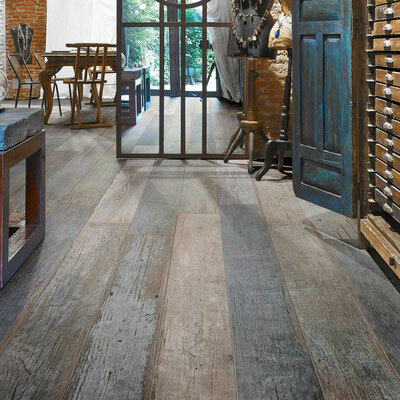 It is incredibly rare to find a true Through Body wood-looking tile, where the pattern and the color extend through the tile. 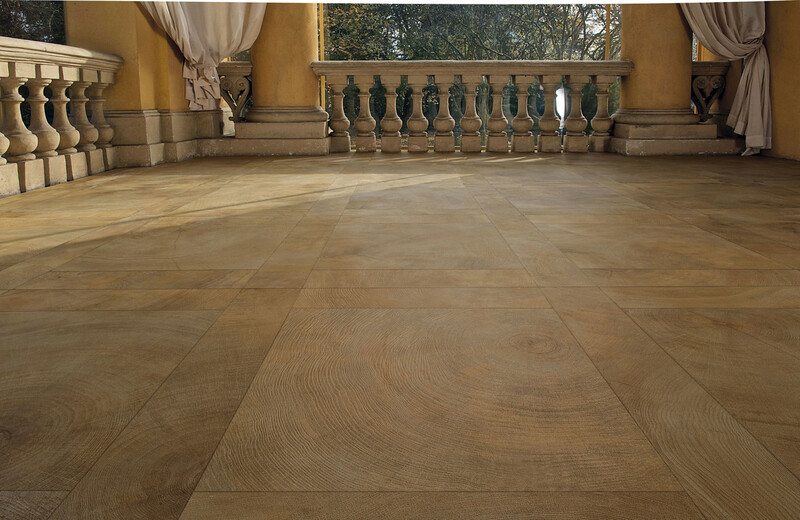 Color and Through Body porcelains tend to cost more than tiles with plain clay bodies. 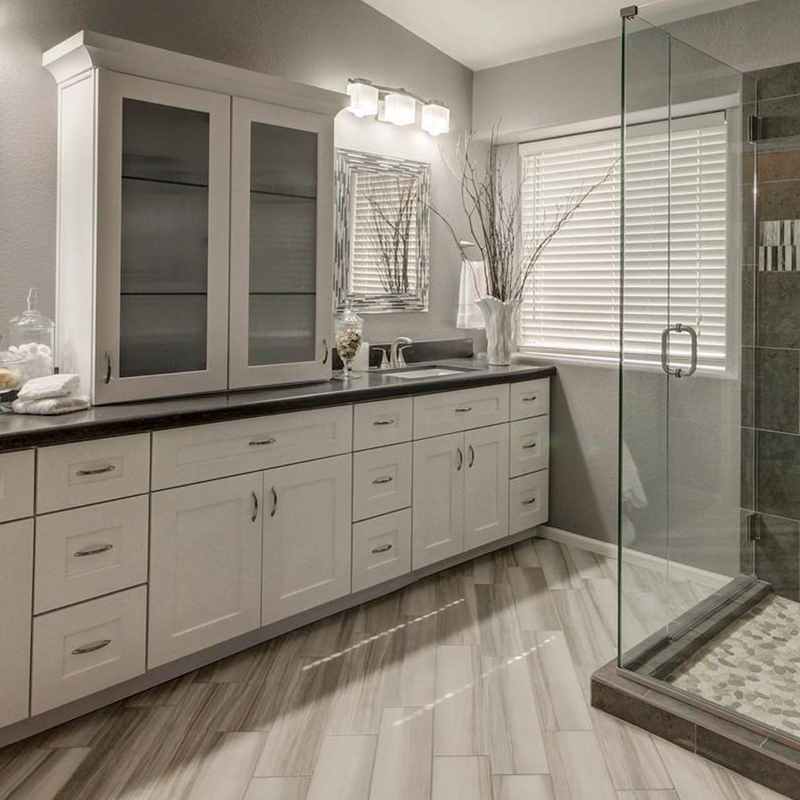 Some homeowners prefer Color Body porcelains just in case something chips the tiles. However, glazed porcelain both with and without a Color Body (as long as the PEI rating is 3 or higher) will be durable enough for a residential installation. 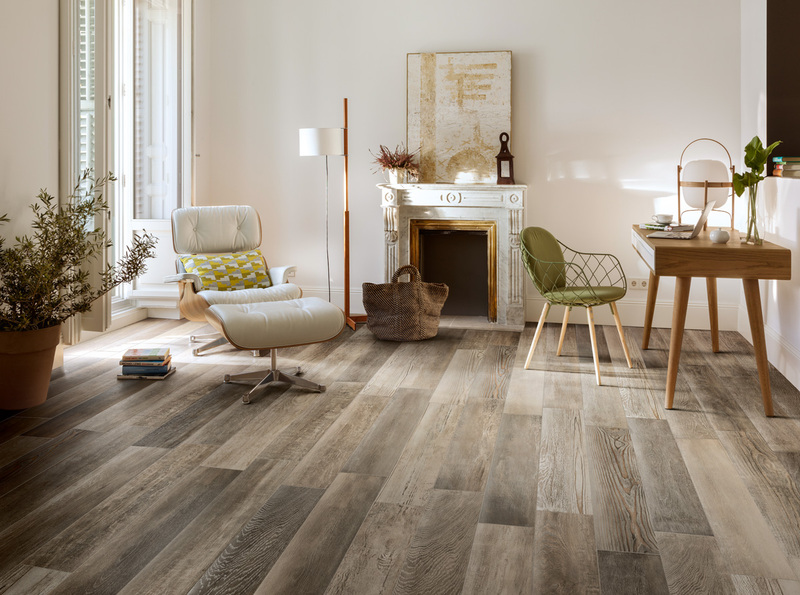 This series has clay that is the same color as the glaze, with a wood-like grain on the surface. Read more about the price variation of ceramic and porcelain tiles! 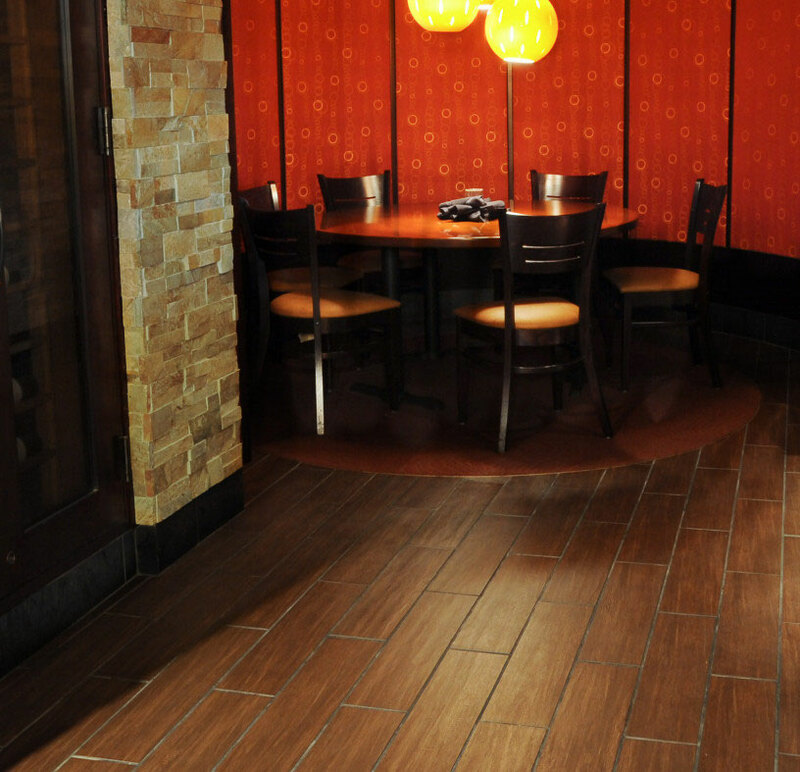 Wood-looking porcelains are excellent for high-traffic areas, such as this restaurant. 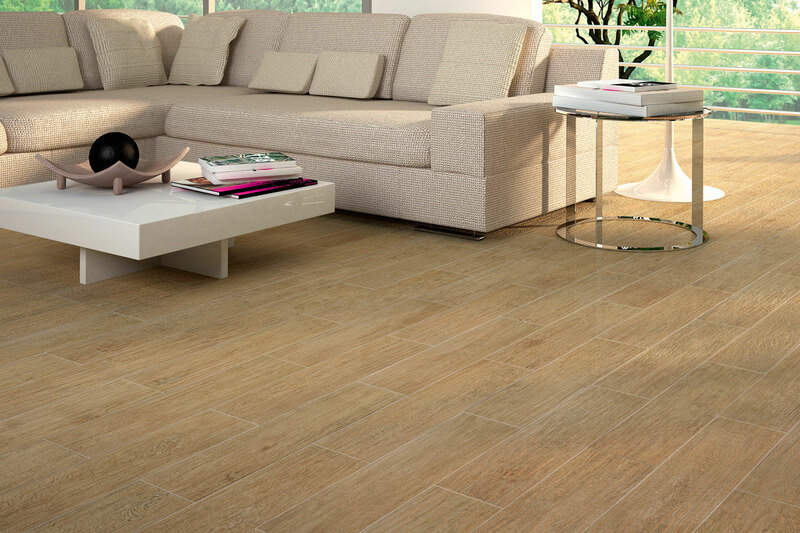 They're easy to clean and maintain with a natural look. 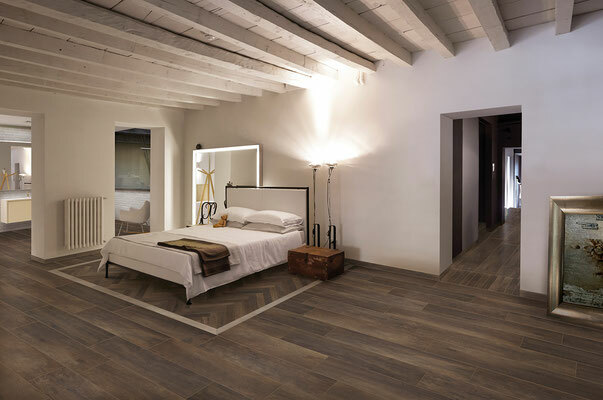 All of the photos in this post are of wood-looking tiles, not hardwood or laminate floors, and yet most people wouldn't know the difference unless told otherwise (and even then some people won't believe it's not wood). 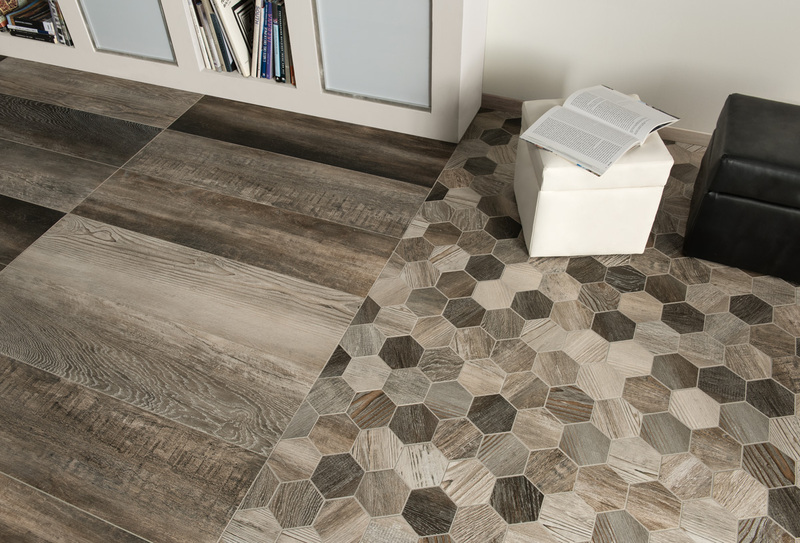 Some tiles look more realistic than others: a matte vs. shiny finish, a textured vs. flat tile, print quality, pattern repeat, etc. 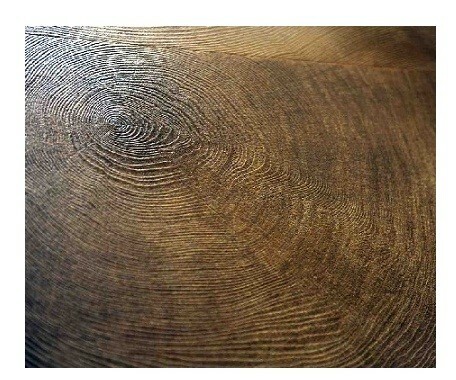 can all affect how believable a wood look is. 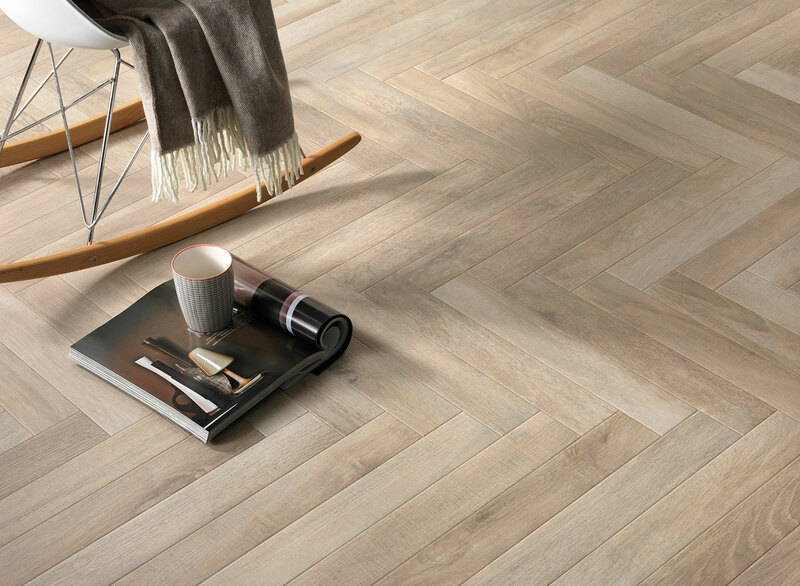 And don't think that a realistic look has to come with a hefty price tag; we have an in-stock line of wood-porcelain with convincing knots, grain, and color variation for just $2.99/sqft! 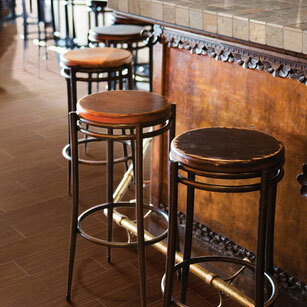 Your grout can contrast with your tile to emphasize your pattern, or it can blend in for a more realistic look. But what about grout, you ask? 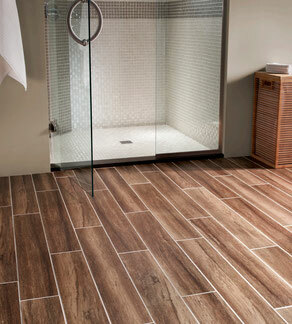 Many people are hesitant about choosing tile because they've had bad experiences with stained, mildewed or dirty grout. Fortunately, there are new grout types available that are non-porous, stain-resistant, mildew-resistant, extremely color-consistant, flexible, and easy to clean up and install. 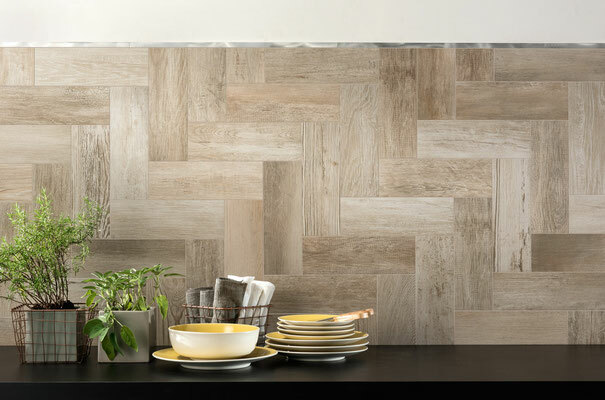 Pre-mixed grouts, such as Fusion Pro single component grout and QuartzLock2 urethane grout, are easy to keep clean, no sealing required, and they are just as low maintenance as your porcelain tiles. 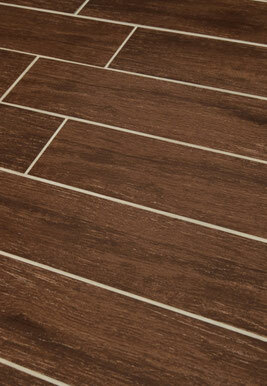 You can install your grout in grout joints as small as 1/8th or even 1/16th of an inch for a minimal appearance. Most people choose a grout color that matches their porcelain tiles so that it blends in and doesn't draw attention to itself. 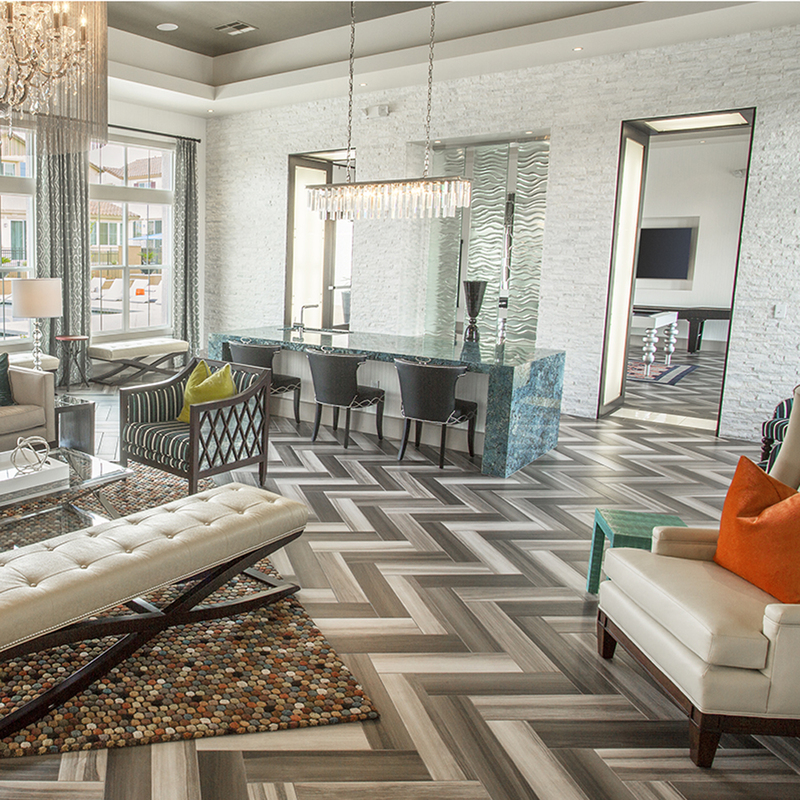 If you want your pattern to pop, however, consider using a contrasting color. 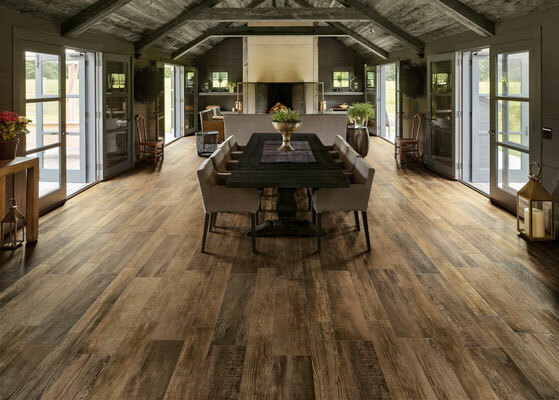 If you want your floor to look like real wood but with the absolute lowest maintenance required, we recommend grouting your porcelain tiles with a matching (or slightly darker) grout color in a small grout joint with a urethane or single-component grout. 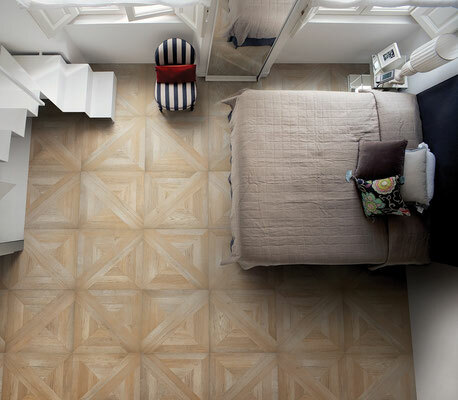 See these tiles for yourself! Durable enough for a restaurant, beautiful enough for your home! 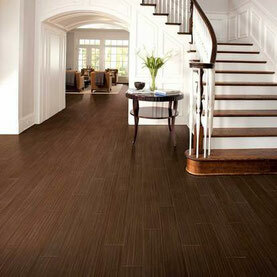 We have samples of over 40 different wood tile lines on display in our showroom, and each line has at least 5 colors. Stop by our showroom to see our wood porcelain tiles in person, and decide for yourself if they're right for your home.